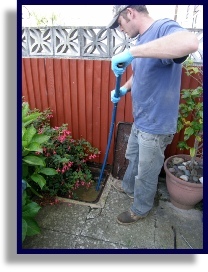 SEWAGE OR WATER FLOODING YOUR HOME OR GARDEN? 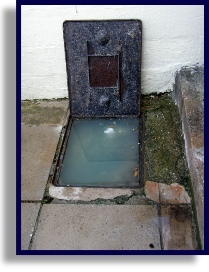 Domestic Blocked Drains start from just £95+VAT within office hours 8am - 5pm. Prices may vary out of hours. 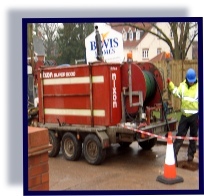 Please note that if a blockage cannot be cleared with rodding and jetting then we will provide you with our recommendations and a quote to carry out further required work, however you may still be charged. Overtime it is inevitable that grease, scale and fat accumulate and restrict flow through pipes - this can in turn lead to a total blockage. Whatever the problem our team of expert engineers have the knowledge and equipment to help you.They will be more than happy to explain the cause of the blockage and provide advice if further work is required. Most blockages can be cleared using drainage rods, but for more stubborn blockages or larger drains then we utilise our jetting equipment. Our engineers are fully equipped and trained in using drainage rods and jetting equipment which can achieve up to 6,000 PSI. Our wide selection of jetters enable us to be highly versatile in unblocking and cleaning any size of drain including large culverts. 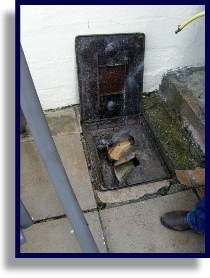 Providing you are happy to allow access to your property and the drains are accessible you do not need to wait in for us to attend!